Get Warhammer 40,000: Space Marine game for Free for a limited time from Humble bundle. 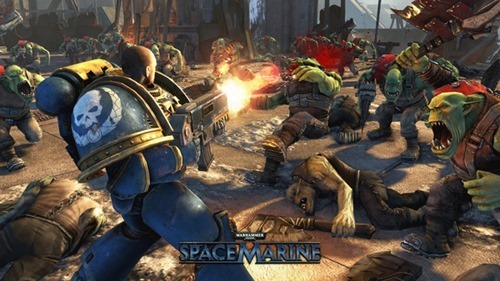 In Warhammer 40,000 Space Marine you will be playing a role of are Captain Titus, a Space Marine of the Ultramarines chapter. The game will costs you INR 729 but you can get it for FREE now. You will get a key which you can redeem on Steam, if you do not have a steam account, you will have to create one too. Make sure you redeem the key before the deadline. Get Warhammer 40,000: Space Marine game for FREE for a limited time from Humble bundle.